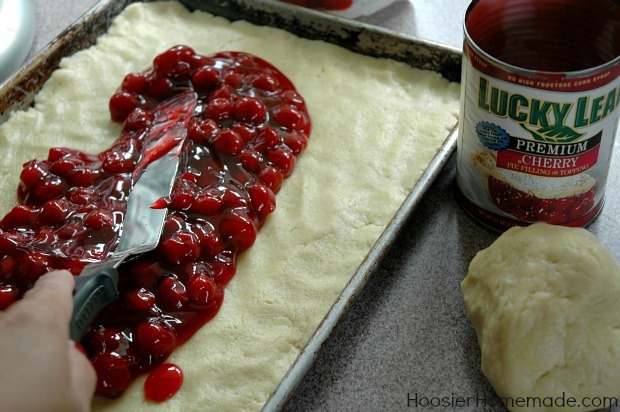 Thanksgiving is done…let the Christmas baking begin! 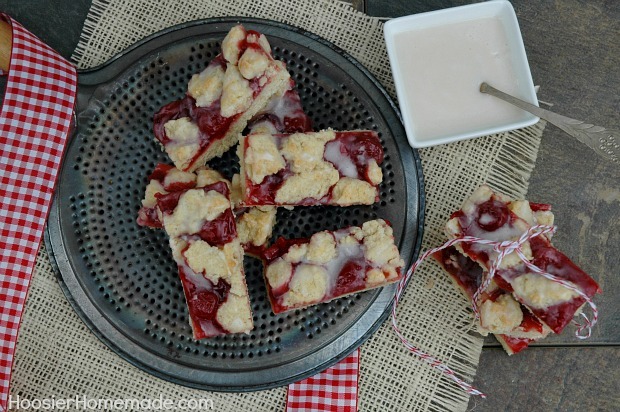 I’m kicking off the best baking season with these delicious and easy Cherry Almond Bars. 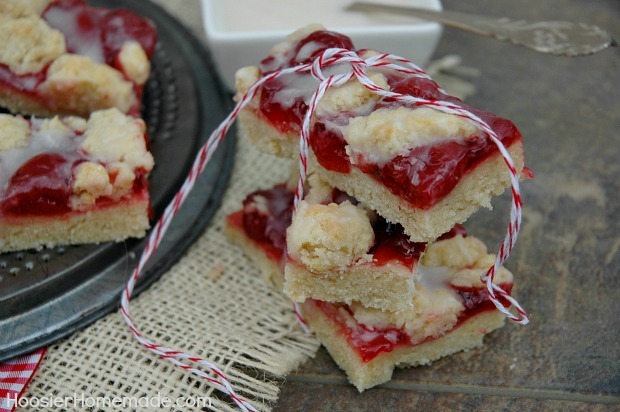 With all there is to be done during the holidays, bar cookies are perfect! They go together in a snap and one batch typically makes a lot. 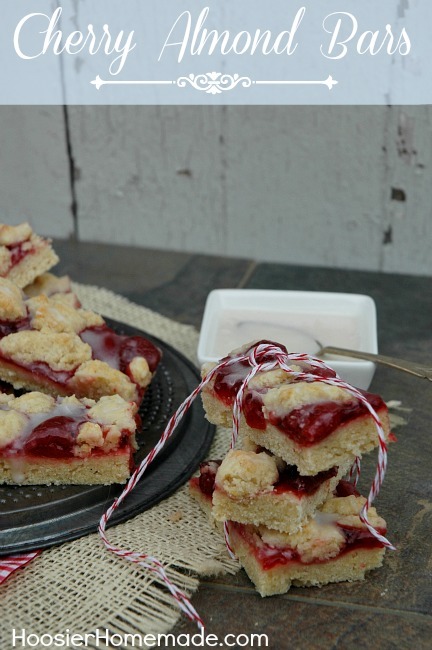 This Cherry Almond Bars Recipe came from the Gooseberry Patch Christmas Book. And are lightened up with Truvia Baking Blend, which has a sugar-like taste and texture in recipes, but with 75% fewer calories per serving than sugar. 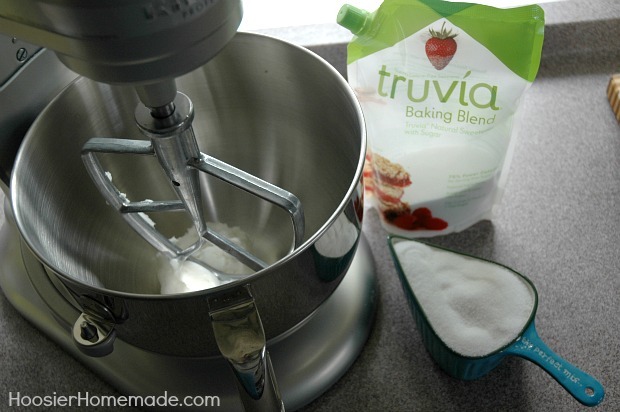 Truvia Baking Blend can be substituted for sugar in any recipe by simply using half as much as you would sugar. Before we get started, I have to show you my early Christmas present. While Doug and I were doing a little Black Friday shopping at our local outlet mall, we came across this beauty! 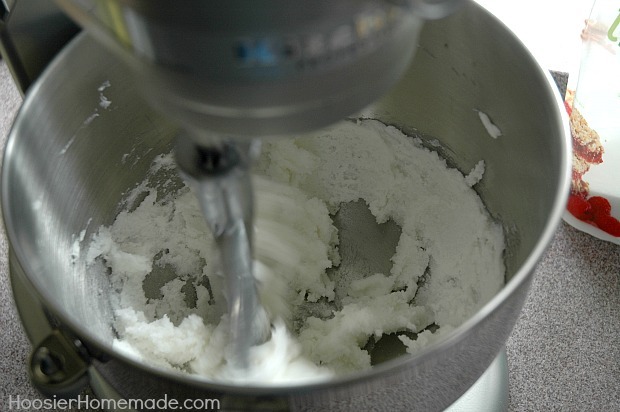 Now, if you have been around for awhile, you may remember that I did not own a KitchenAid Stand Mixer, and even made Homemade Marshmallows with a hand mixer. 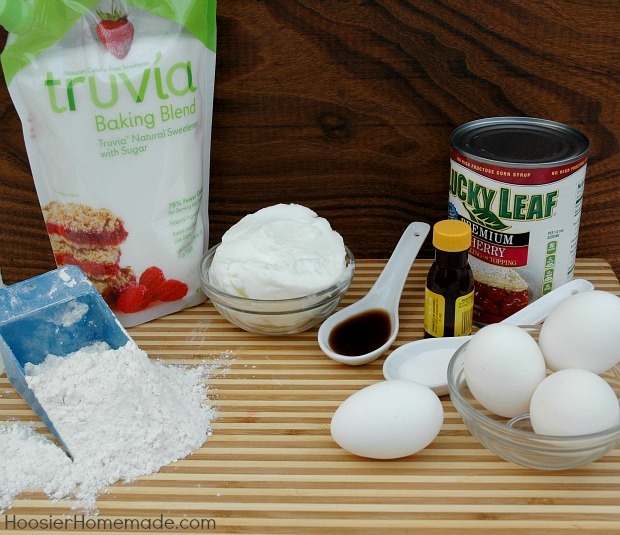 Add the flour, eggs, extracts and salt until well combined. 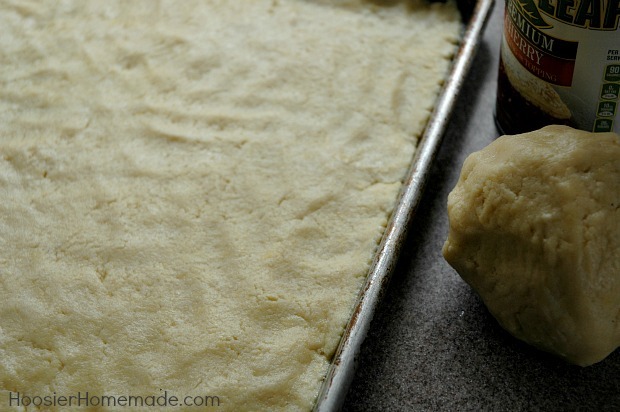 The dough will form into a ball. 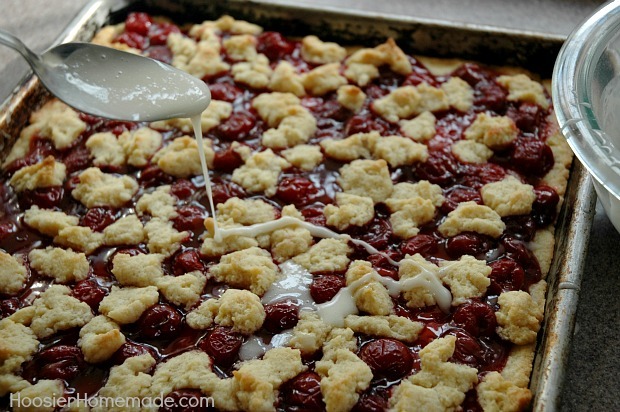 Bake for about 30-40 minutes, let cool about 15 minutes and then drizzle with Almond Glaze. These bar cookies also freeze well. Wrap in plastic and freeze in airtight container. Disclaimer: Compensation and products for review were provided by Truvia. I received a free sample of the product for the purpose of this review. 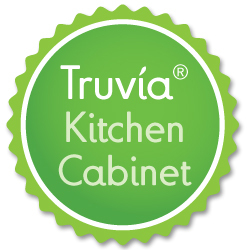 The opinions expressed herein are those of the author and are not indicative of the opinions of Truvia. Could I use half butter/half shortening? This looks yummy!! Thanks, Shannon. Sure Shannon, that would be fine. The cookie part might be a little more buttery tasting, but it should be fine. 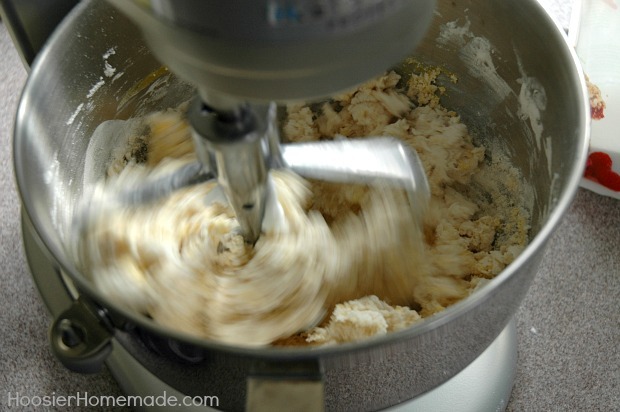 I named my mixer Ethel. Curious how both the names comes from a certain era. 🙂 I’m making these to send to my son-in-law in Afghanistan. I thought they’d be a nice surprise and am hoping they’ll travel well. Thanks for the yumminess! These look delicious! 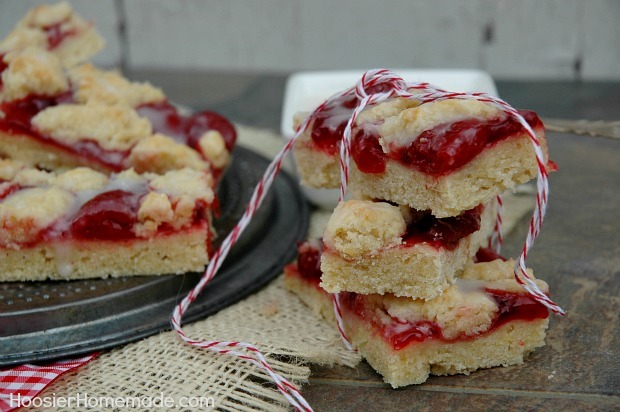 Going to pin this recipe for sure……and make it! If I wanted to use real sugar, would I need to change the measurements? These look delicious. I love cherry anything. I also like that pouring spout on the Truvia. Very helpful. Thanks so much! These are a little addicting! And yes, I agree…love the pour spout. 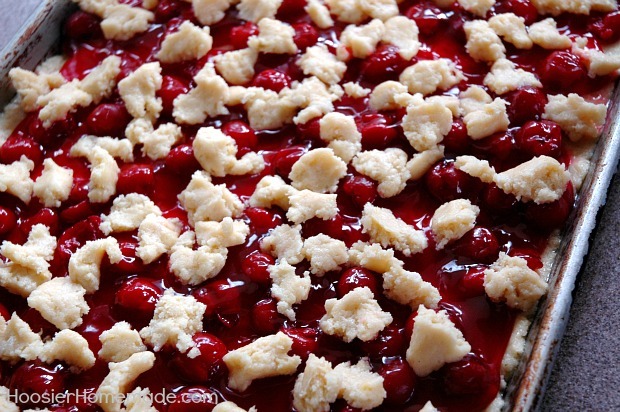 You have no idea how much I love cherry & almond together…yum. Hi Cathy, Cherry and almond are one of my favorite combos too!